as a way to move Middle Eastern dance "beyond the museum," and create original, theatrically-inspired choreography that blends traditional and contemporary Middle Eastern forms. 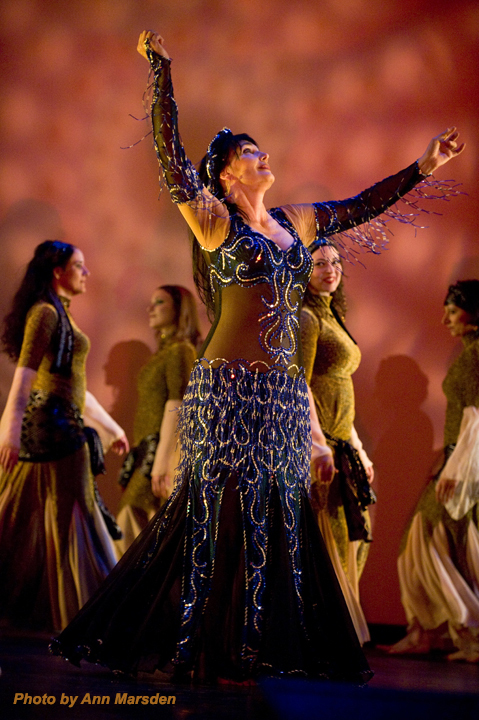 Cassandra is recognized as one of the world’s foremost performers and choreographers of Middle Eastern dance. Her artistic intensity, musicality, and technique set her apart from the average performer. She brings to dance lyrical grace, musical focus, and a sensuous quality of movement that brings mere technique to life. Through her dedication, devotion, and discipline, Ms. Shore has earned worldwide acclaim from the masters in the field as a master teacher, star performer, and creative artist in the field of Middle Eastern dance. Her work has been rewarded with grants, commissions, and awards. She offers workshops, intensives, concerts, and master classes worldwide. Cassandra embraced Middle Eastern dance in the early 1970s, and in 1975, as a student of Jamila Salimpour, she began performing, quickly becoming one of the most popular and respected Middle Eastern performers in the San Francisco Bay area. Cassandra's initial dance background was primarily in Wigman and Graham styles of modern dance with a flavoring of jazz, flamenco, and Tai Chi Ch'uan. These building blocks of dance styles drove her to explore ways to move Middle Eastern dance "beyond the museum." 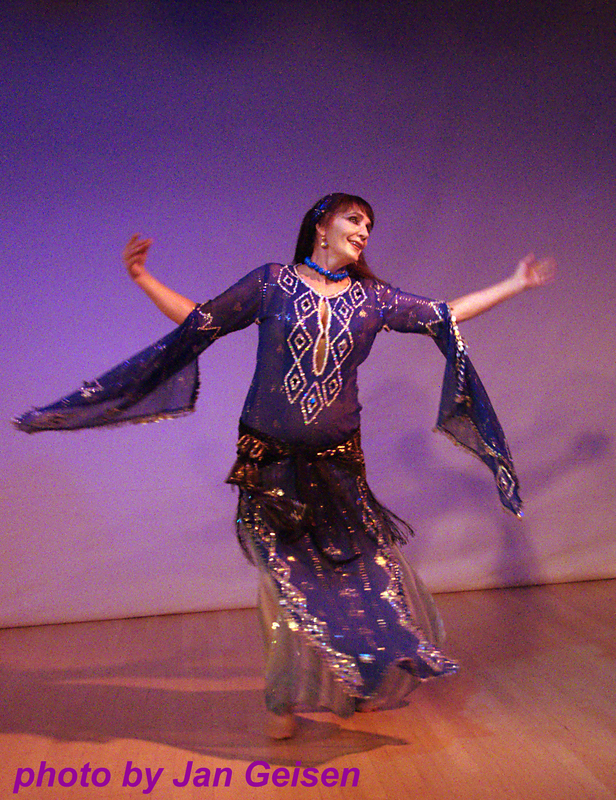 Her modern dance education contributed heavily to her unique vision of Middle Eastern dance and innovative ways to use it in choreography. Eventually, the outcome was original, theatrically-inspired choreography that blended traditional and contemporary Middle Eastern forms. In 1977 Cassandra relocated to Minneapolis, Minnesota for more performing opportunities. She opened The Cassandra School in 1978 in response to numerous requests for classes from women who saw her nightclub performances and were inspired to learn. In 1980 she was able to obtain some early videotapes of Egyptian soloist and folklore group performances, and recognizing their expertise and knowledge, she traveled to Egypt on her first research trip in 1981. She has since returned numerous times for dance and cultural research, as well as exploring virtually all of the North African countries, as well as Turkey and Greece, in her search for cultural understanding, authentic techniques, and inspiration. Cassandra is a student of the finest teachers and choreographers that the Middle East and the US have to offer. This list includes Mahmoud Reda, director of the Reda Group, Cairo, Egypt, and former Under Secretary of Culture; Mohammed Khalil, director of the National Folklore Group of Egypt; Vivian Hamamjian, former member of the Caracalla Ballet, Beirut; Raqia Hassan, choreographer to Egypt’s top dance stars and former member of the Reda Group; and Ibrahim Farrah, director of the Near Eastern Ensemble, NYC, the first professional US performing company in Middle Eastern dance. These are but a few names from a stellar list. Cassandra soon realized the artistic limits of the nightclub stage, seeking out theatrical venues for her emerging and unique choreographic ideas. Influenced and encouraged by the great choreographers and teachers in her field who were putting their work on the stage, Cassandra formed "ad hoc" performing groups of students, for performances. In 1989 she held auditions to form Jawaahir Dance Company in order to be able to have a repertory of traditional, modern, and fusion works of Middle Eastern and contemporary dance. She was honored in 1996 to be chosen to be the only non-Arab dancer to perform at the Maharajan al-Fan, the annual festival of Arabic arts held in New York City and the Brooklyn Museum. She performed new choreography based on the legend of Majnoon Leyla set on contemporary Palestinian composer Simon Shaheen’s Sama’i Kurd Shaheen. Cassandra teaches and performs regularly in worldwide location such as Helsinki, Finland; London, England; Cologne, Germany; Vienna, Austria; Toronto, Canada; Los Angeles, CA; Houston, TX; New York, NY; Miami, FL; and more too numerous to list. Cassandra is the mainstay instructor at Oasis Dance Camps and Retreats held yearly in the US. First established in 1985 in Traverse City, MI, by Mary Lyn Buss and Jean Courter, the camp has expanded to other locations, including an occasional retreat to Egypt. Today, The Cassandra School offers many classes each week in Minneapolis and Bloomington, MN, from beginning to professional levels in technique, choreography, performance skills, and dance conditioning. Here's a short clip of our director, Cassandra, performing with the band Amwaaj. Bring Cassandra to YOU! Cassandra has travelled extensively, spreading her wisdom throughout the US and Europe. Even to Egypt! 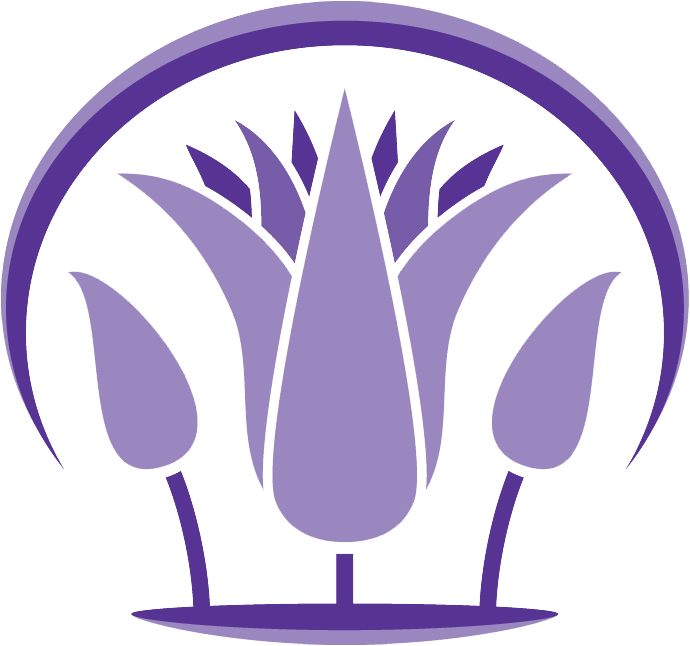 Cassandra offers 2-hour to 2-day workshops, private group classes, or lecture-demonstrations focusing on one or many Middle Eastern countries or regions. Are you having trouble with your shimmies? Zil work not up to where you want it to be? Have a choreography that needs to be improved? Just want to raise the level of your dancing? All of these are excellent reasons to call 612-872-6050 (no texts) to schedule a private lesson with Cassandra.